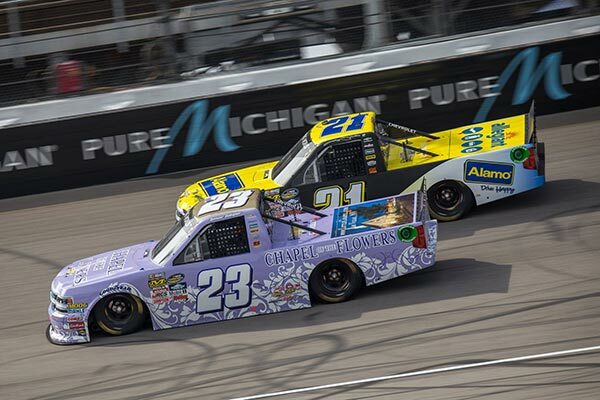 Chapel of the Flower‘s NASCAR CWTS truck #23 has made it’s debut with Spencer Gallagher behind the wheel. Every couple of week’s we cheer-on @speedracer23 in hopes that he can race our fantastic “purple” NASCAR truck to the #1 spot! Wedding ceremonies don’t always have to take place in a chapel, but it’s not every day that you see a couple say “I do” on a racetrack. 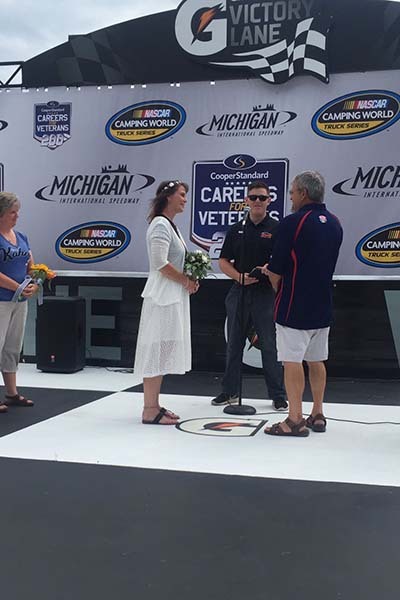 When William Kelley and Shelley Shaffer decided to exchange vows at Michigan International Speedway last month, there was no doubt about who would officiate at their NASCAR wedding: “minister” Spencer Gallagher, also known as @23SpeedRacer. NASCAR driver, Spencer Gallagher, is teaming up with local Las Vegas organizations to raise awareness on domestic violence and raise funds for The Shade Tree and Noah’s Animal House of Las Vegas. 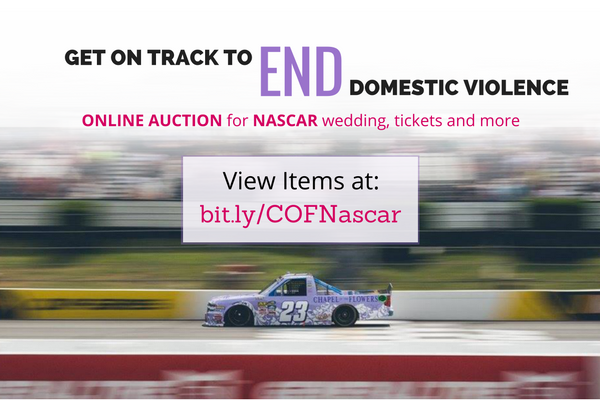 With your donation, you can help families facing crisis, while entering an auction with a chance win some amazing NASCAR prizes and tickets.